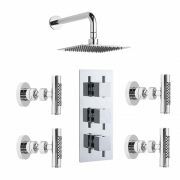 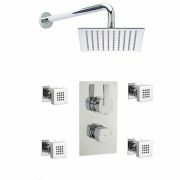 This product comes with everything as pictured: A traditional exposed thermostatic shower valve, a rigid riser with a diverter for the handshower and an 8" shower rose head. 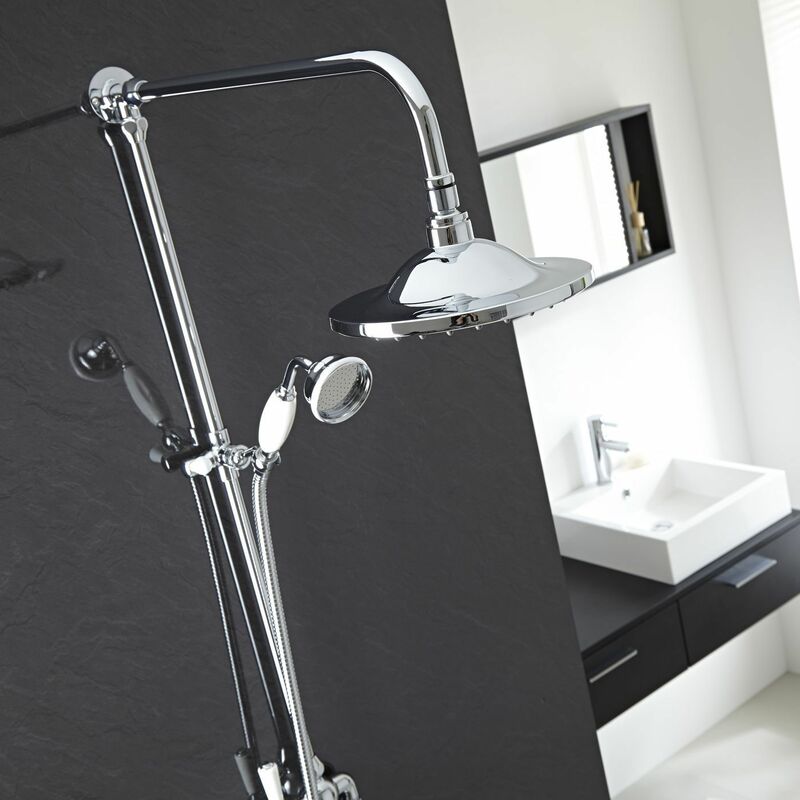 This shower uses a wax thermostatic cartridge to maintain a constant shower temperature. 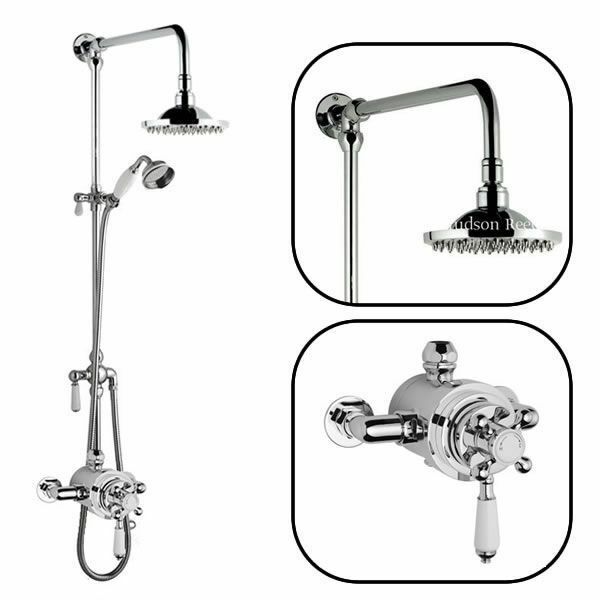 The valve is anti-scald and will automatically shut down if the cold water supply fails. 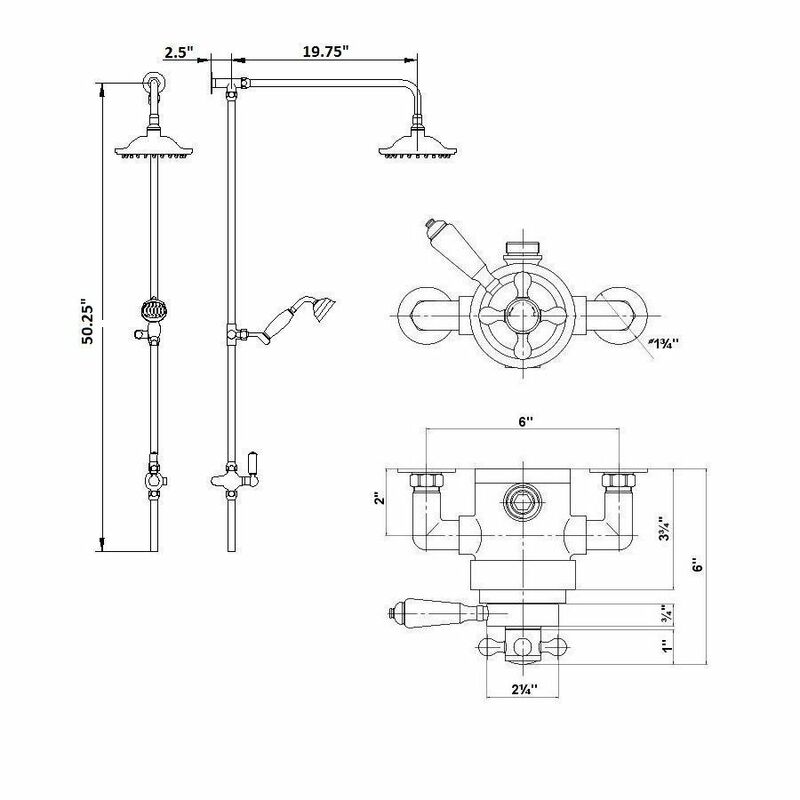 The independent controls allow for separate operation of the spray force and temperature. 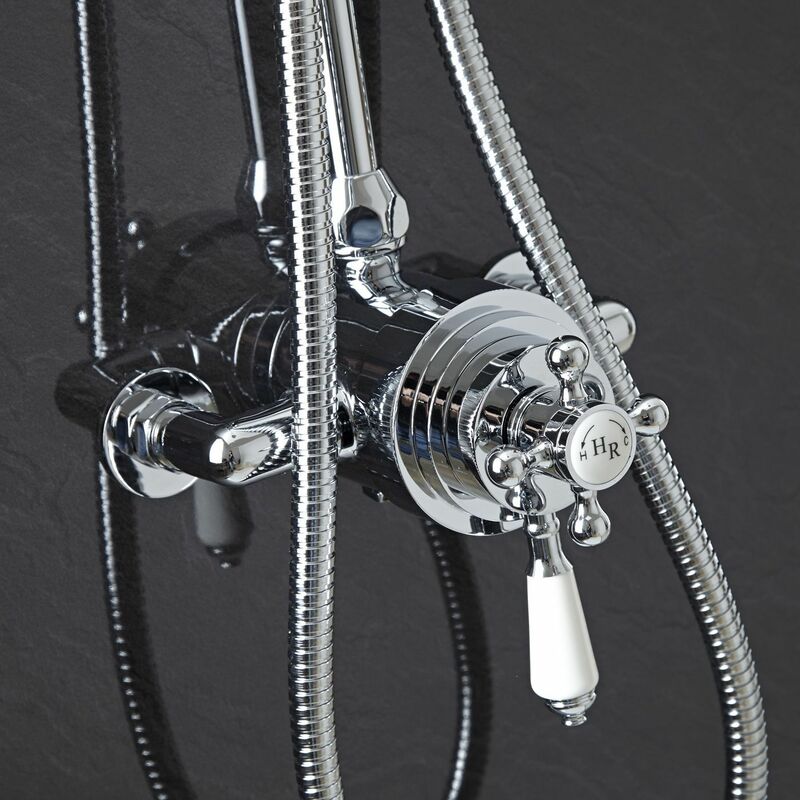 The Cross handle controls the temperature and the lever controls the volume. 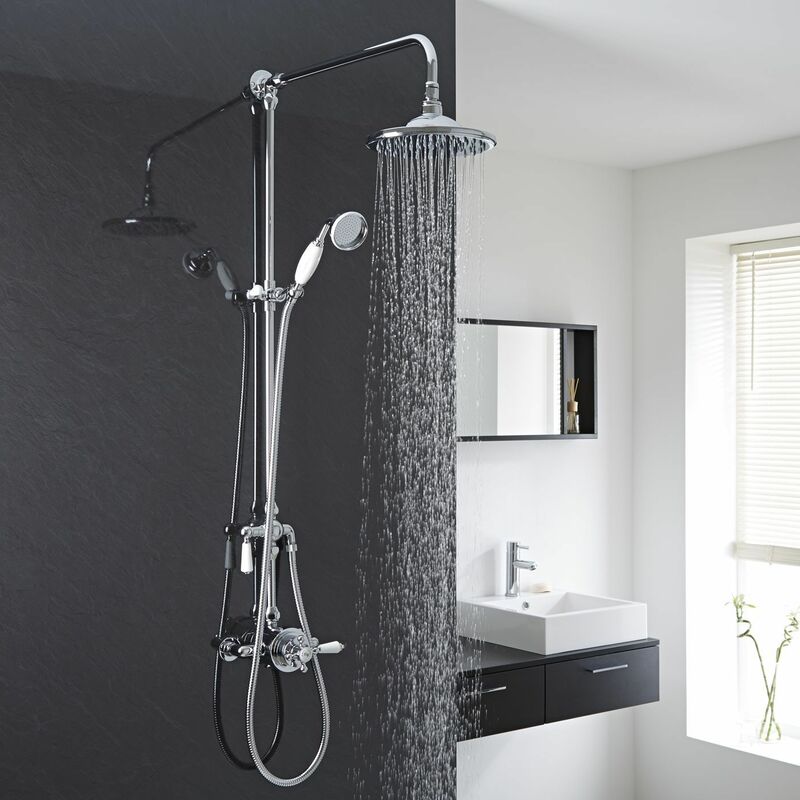 The safety temperature override button allows showering temperatures to reach a maximum of 100.4F. 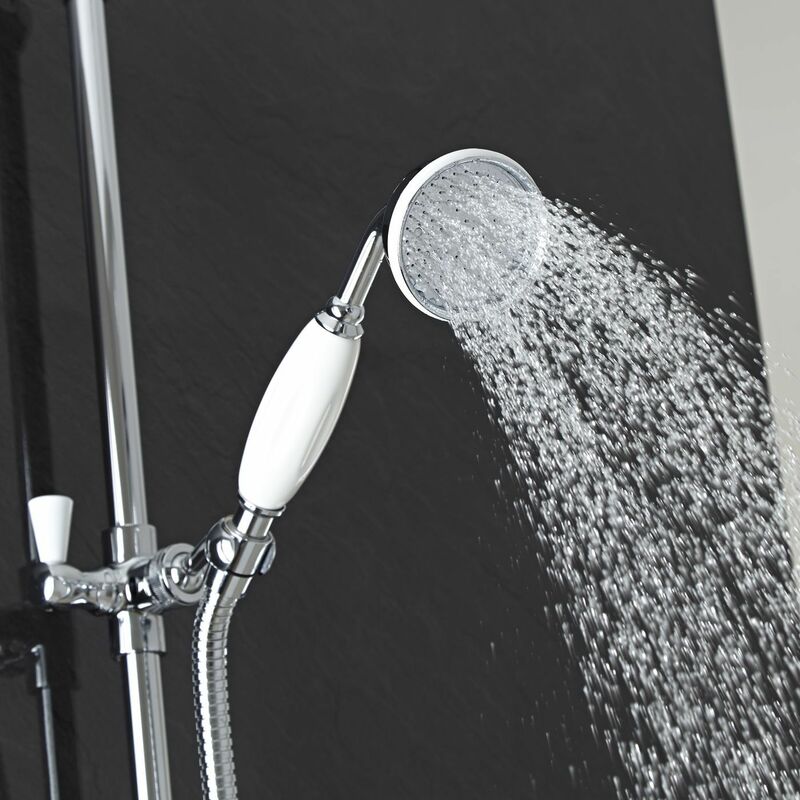 The shower elbows are supplied complete with filters and flow regulators. 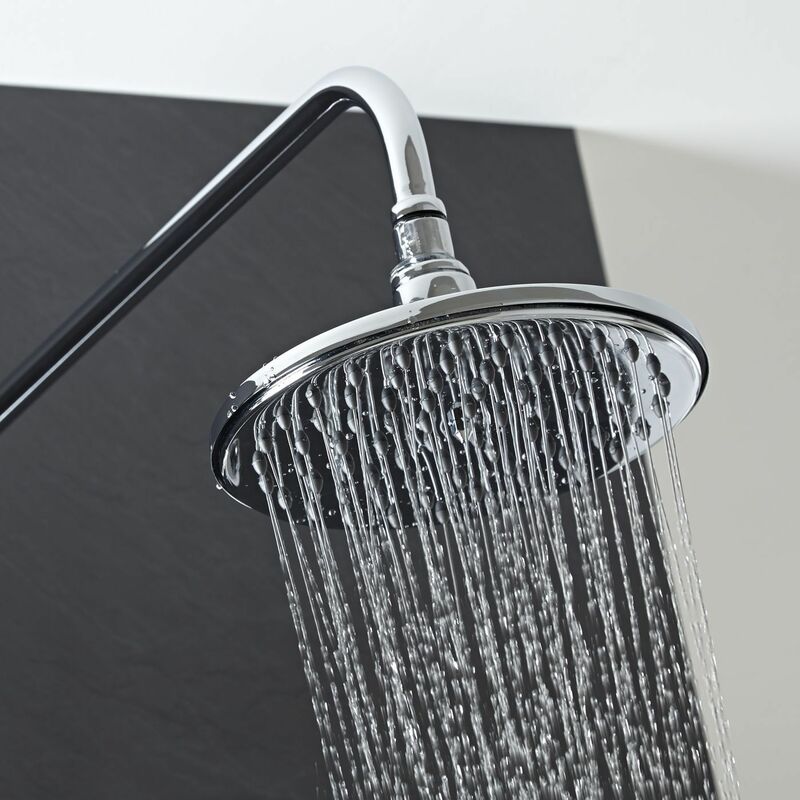 Shower head features rub clean rubber nozzles. 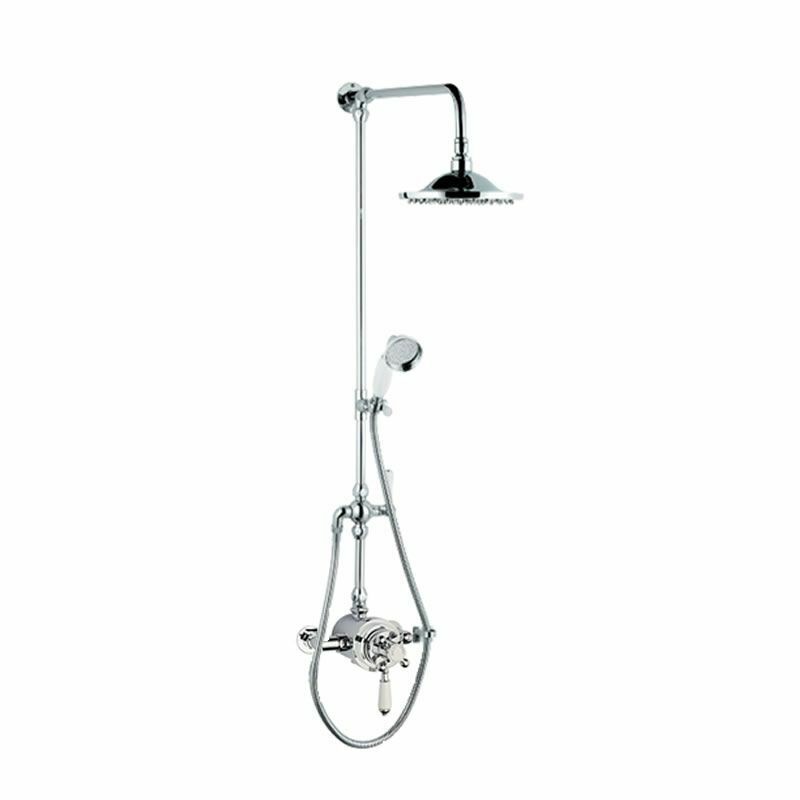 Dimensions: Shower Height: 41", Depth: 19.75", Hose length: 59"
Dimensions: Faucet Valve Height: 7.95", Width: 5.31", Depth: 3.00"